Akrotiri is an extensive peninsula northwest of the prefecture of Chania, in Crete, which some of the most beautiful beaches on the island exist. Akrotiri is also home to the Technical University of Crete, the Airport of Chania and the largest natural harbor of the Mediterranean, Souda. However, not everybody knows that Akrotiri is more than a gate to Crete. The area counts with national monuments and ancient monasteries that, with their legends, made the area to be known also as Mystic Akrotiri. Home to some of the clearest waters on the island, shallow and safe bays are often neglected by visitors who prefer to visit the best-known Balos, Falassarna or Elafonissi. 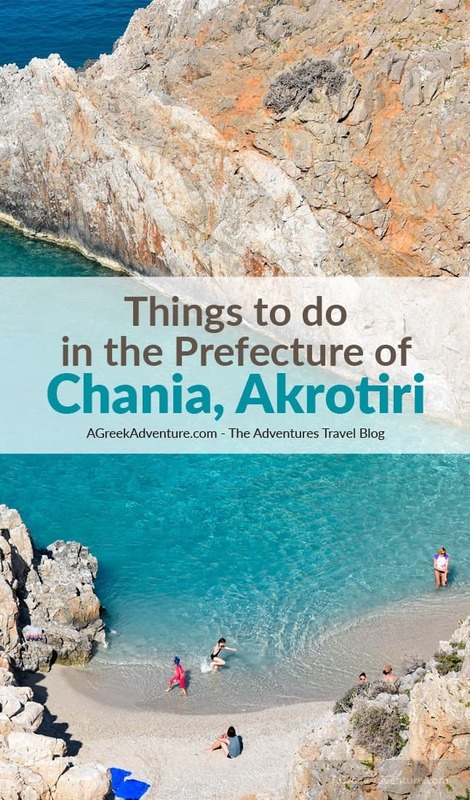 Among the places to choose to spend a day by the sea, we count Stavros and Kalathas, as well as the Instagram favorite Saetan Limania, (or Devil’s Port). Each of them have unique characteristics and are well worth a visit… or two. 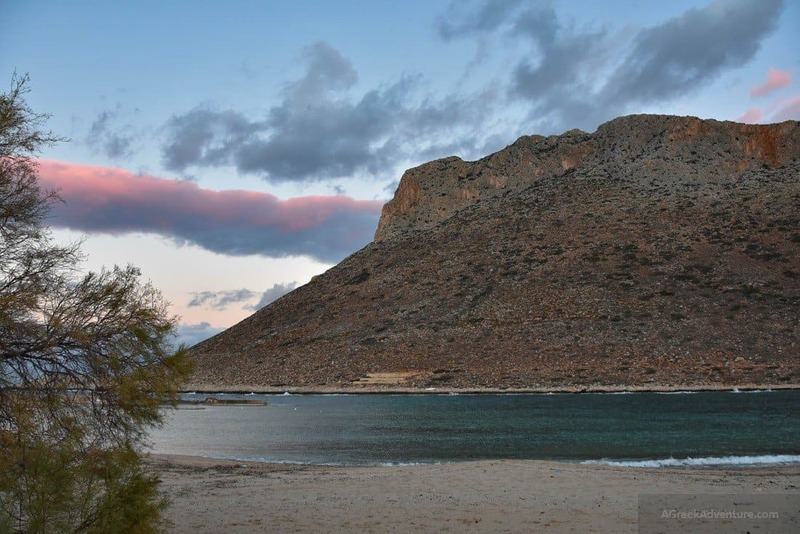 The emerald sea of Stavros is one of the many gems of Crete. The rocky formations design a shallow, waveless bay, quite protected from the northern winds thanks to the promontory standing behind the sea. Stavros saw its days of glory back in 1964 when was the place chosen to shoot the final dance of the film Zorba the Greek. Many convenient restaurants around the area allow to enjoy a restoring Cretan lunch, among them we prefer Zorba’s, with a simple but very tasty offer of local dishes. 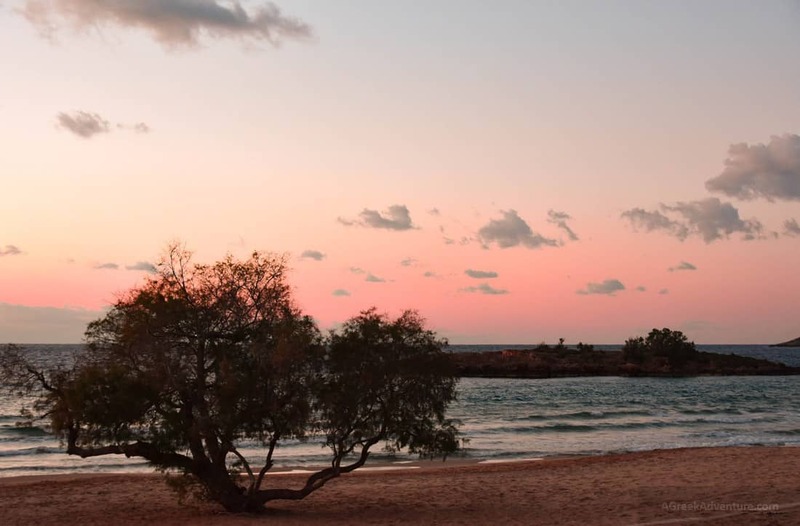 The new rising star of the peninsula is the beach of Kalathas. A wide extension of fine and clear sand bathed with transparent waters. A little islet right in front of the beach is a delight for those who love to swim longish distances and reach a safe shore.The bay of Kalathas is equally favorite among families, young people and solo travelers. There a few bars on the beach and a few tavernas nearby. f you make up your mind to visit Kalathas, it’s a good idea to arrive early as parking spots don’t quite equal the vastness of the beach. Saetan Limania used to be a forgotten, but incredibly beautiful secluded cove only known to locals. The beach is located at the end of a difficult mountain road with spectacular hairpin turns. Getting there also requires an extra 20-minute hike down the mountain to the seaside. The views from above are so impressive that the area started attracting many tourists in recent years. Therefore, the best moments to visit are the less crowded months of May and September. These are not the only beaches you can visit in Akrotiri. The peninsula is full of unknown and rather lonely bays mostly chosen by locals, among them Loutraki, Marathi, Tersanas or the tiny Agios Onoufrios. The coastline of Akrotiri is certainly not short of surprises. Mysterious buildings, abandoned constructions and ancient monasteries give Akrotiri a special mesmerizing atmosphere. Most of these spots are hidden in rather remote areas, among magnificent olive groves and vineyards, where the landscapes melt into the infinite horizon, next to the most impressive sunsets of Crete. The Holy Monastery of Agia Triada, also known as Tzagarolon Monastery, can be reached driving from the airport, following the many signposts that lead there. A road lined with cypresses leads the way to the imposing entrance of the monastery, perfect example of Cretan Renaissance. Silence and a quiet atmosphere combine with the beauty of gardens, wells and stairs adorned with fruit trees and flowers. The church, with its terracotta domes dominates the whole courtyard. In Agia Triada, make some time to visit their cellars and taste the local wine the monks produce. The monastery is also famous for its quality organic olive oil and products derived from the carob tree. There’s also a museum with a large exhibition of woodcarvings and icons. Once you’ve made your way to Agia Triada, it’s a pity not to go any further. Just a few kilometers ahead, following a suggestive mountain road, it stands the smaller, but not less magnificent Gouverneto Monastery (Moni Gouverneto). 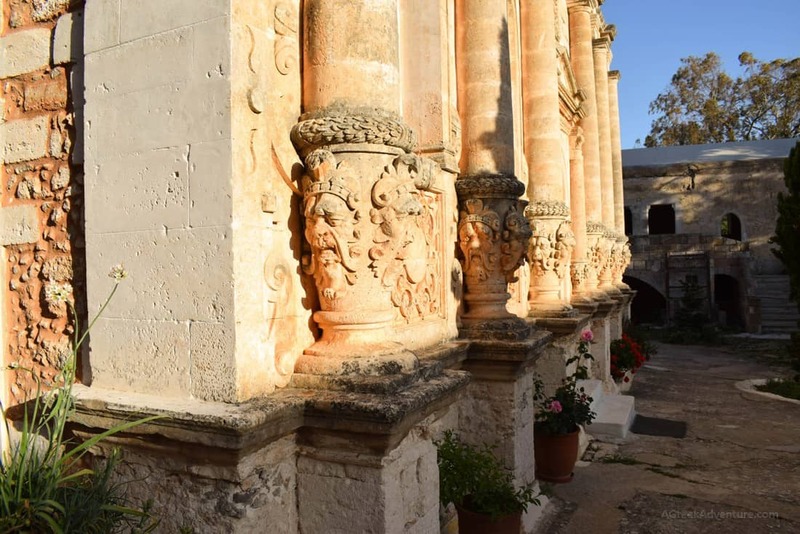 Built in 1537, this remains one of the oldest monasteries on Crete. The structure of the building clearly resembles a fortress, with defensive towers used against piracy attacks. The church has the most impressive features on the facade, with countless monsters carved in relief. Quite an unusual style, influenced both by the Venetian Renaissance and the Baroque movement. 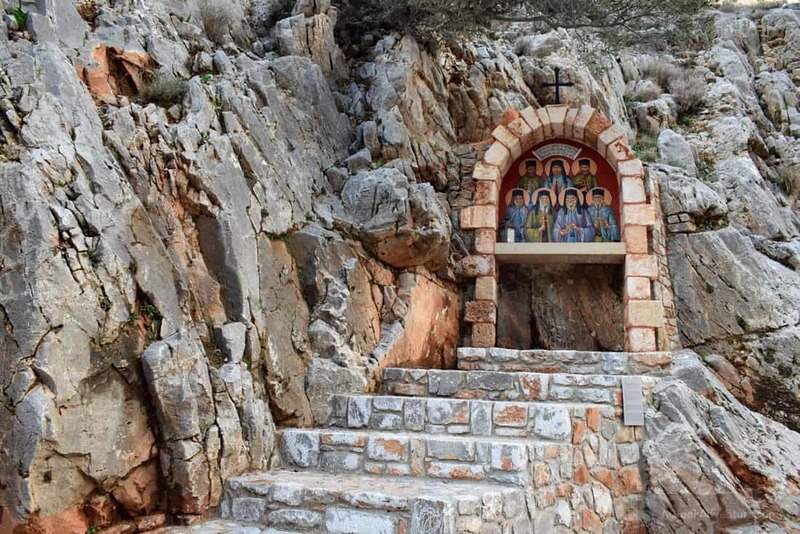 Next to the church of Gouverneto there is a chapel dedicated to the founder of the monastery, St John the Hermit, whose cave is in the nearby Avlaki Gorge. A footpath going north takes you into the gorge which runs towards the sea. Bear in mind that descending is quite easy, but going back up might be tiring, specially in summer months. Less than twenty minutes after leaving Gouverneto, the road directs you to Arkoudospilios (the Cave of the Bear), a place of worship since ancient times according to archaeologists. 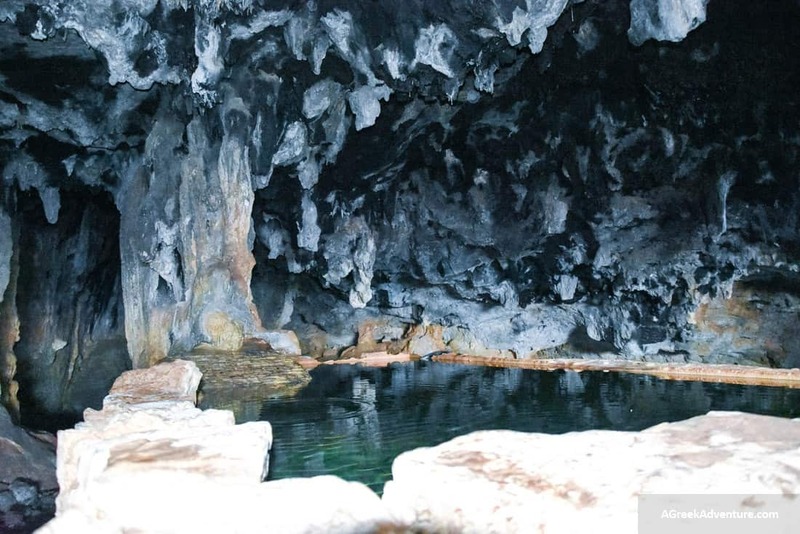 The local legend says that a bear once lived in the cave and drank the water dripping from the stalactites. The monks, suffering from thirst, prayed to the Virgin who turned the bear into a stone. Inside the cave there is also a small chapel dedicated to the Presentation of Christ. 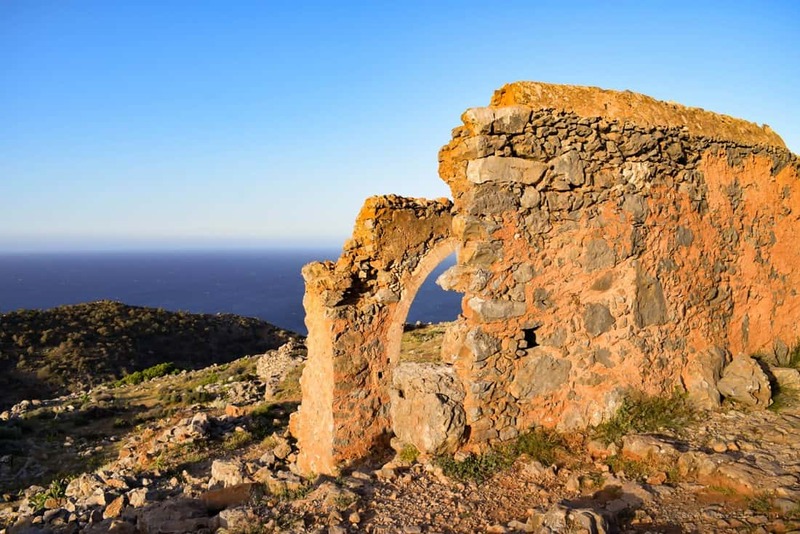 If you are still in the mood for more, keep walking until you reach the impressive Katholiko Monastery, the remains of a building that might have been part of the oldest monastery on Crete. If you are still not tired, go on for ten more minutes. 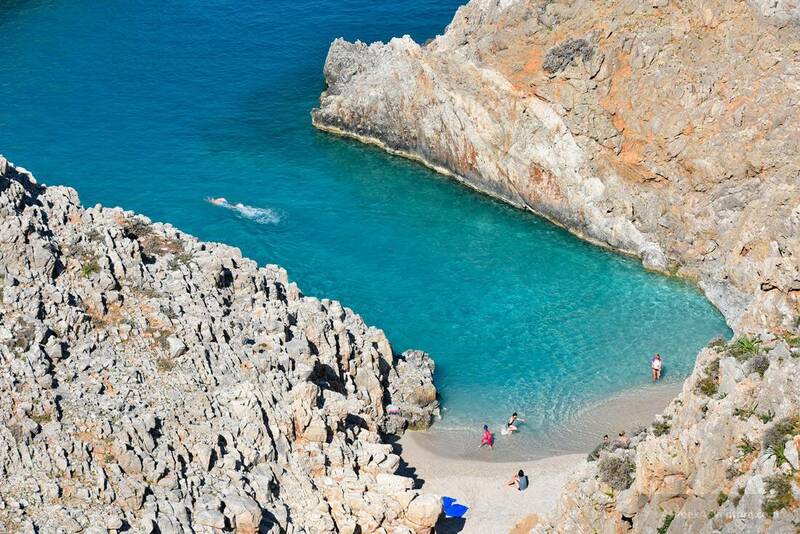 You will come across a tiny cove with aquamarine waters and an outstanding view of the ocean. 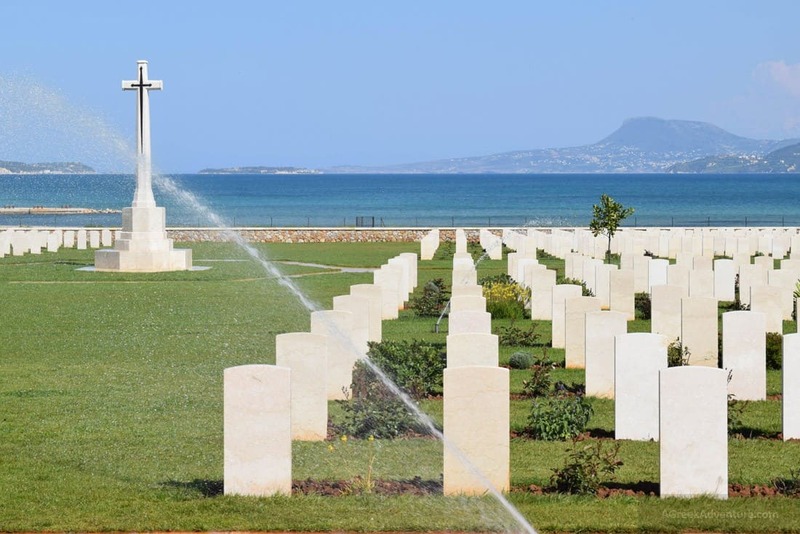 The Souda War Cemetery is located on the way to the port, about 6 kilometers from the city of Chania. 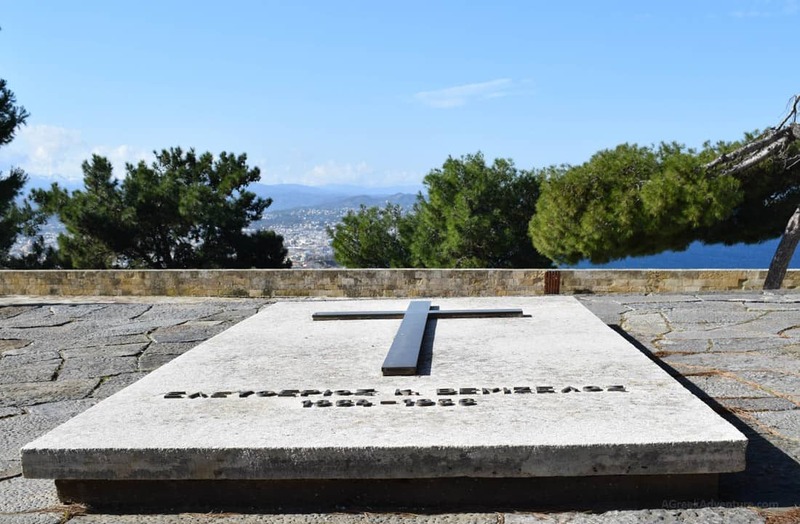 Relics of deceased troopers from the Commonwealth who died in Crete (UK, Canada, New Zealand, and South Africa, among others) were gathered here from four different cemeteries in differente Cretan towns. The cemetery was built by the Commonwealth Committee on military Graves and was founded after the Second World War. It is open to the pubic all year long and offers a great view of the surrounding area, including the seaside and the port. On the main road to Akrotiri, there is a place offering an interrupted view over the city of Chania, as well as the White Mountains. On this extensive park, protected by the shade of pine trees, it is possible to visit the chapel of Prophet Elijah as well as the tombs of the famous Greek statesman Eleftherios Venizelos and his son Sophocles. In the same spot you can visit the statue of the heroic soldier of Spyros Kayales, who became famous making his body flagpole to hold the Greek flag which had been shot down during the heavy bombardment of the city in 1897. 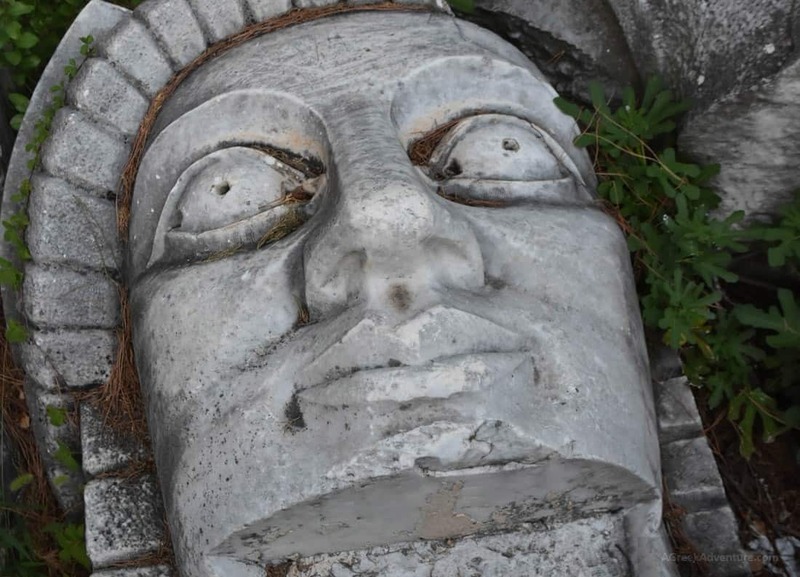 Finally, and hidden in a corner of the park, lays the broken pieces of the statue known as Lost Eleftheria. This monument, erected in memory of all the freedom struggles of the Cretans, was a 20-meter statue carved out of marble. It was the guardian over the city and there stood until 1970 when it was decided to move it to another setting by means of a crane. Apparently the procedures didn’t go as expected… and the pieces of Eleftheria remain sadly gathered in complete loneliness in a corner of the park. Gabi Ancarola is a travel writer that fell in love with Crete and decided to move there. She wrote a bunch of digital travel guides for different Greek destinations, as well as an itinerary book for the Cycladic Islands. 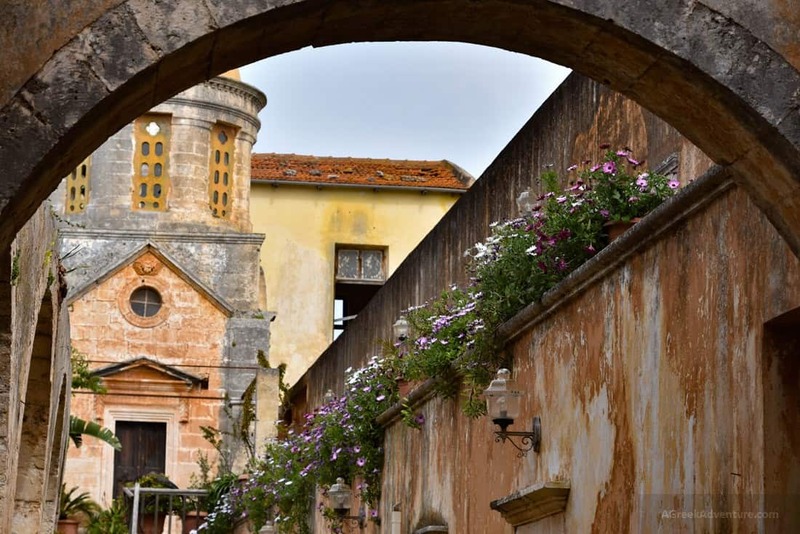 You can read more about Crete on her blog or follow her passion for photography on Instagram. 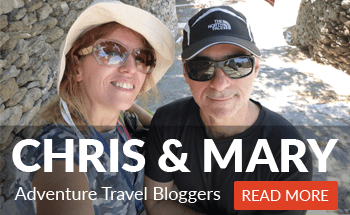 Explore more fantastic articles from Crete, through this link.